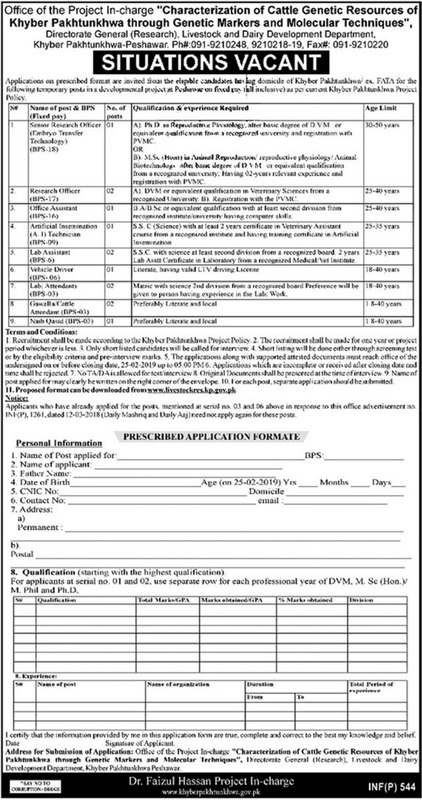 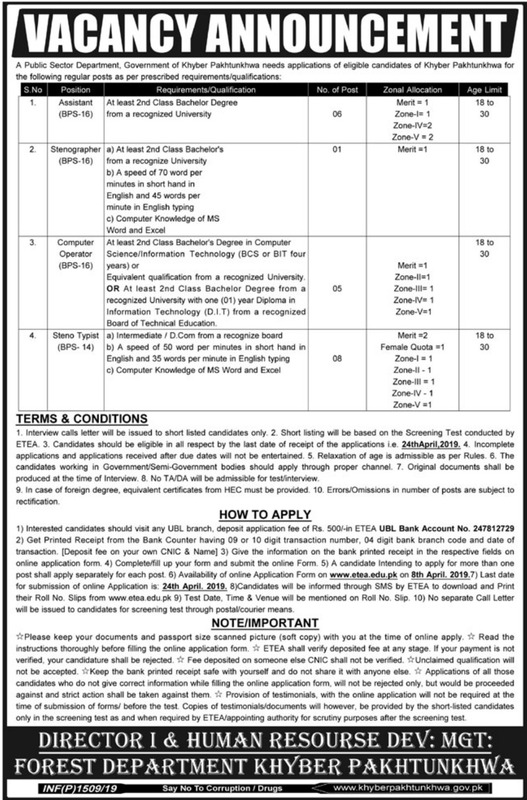 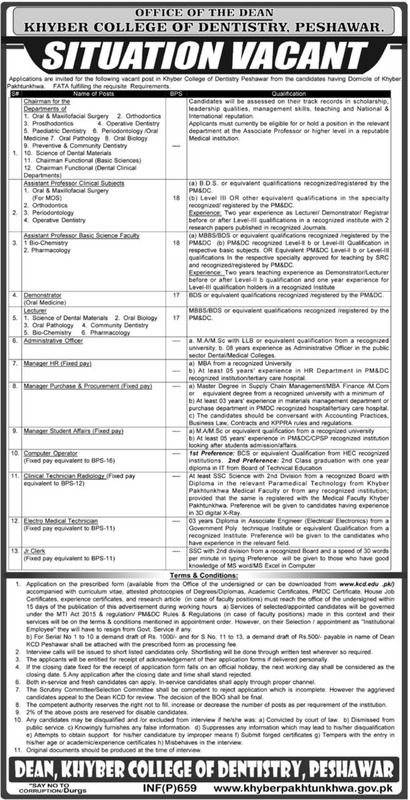 You may see at this page P.O.Box 131 Peshawar Jobs 2019 KPK. 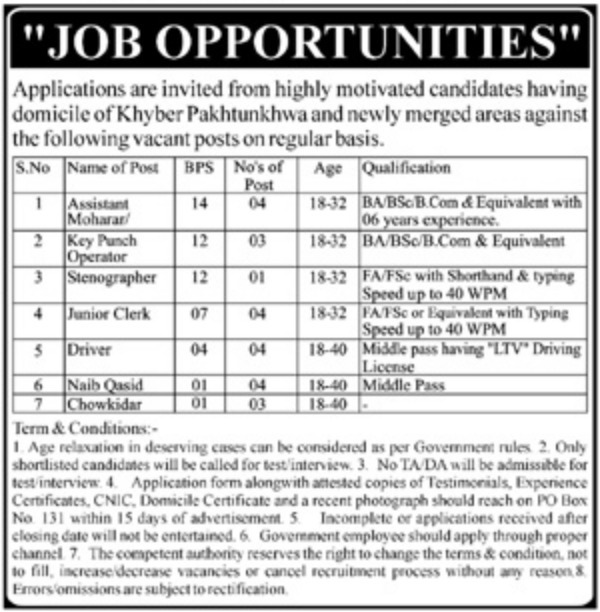 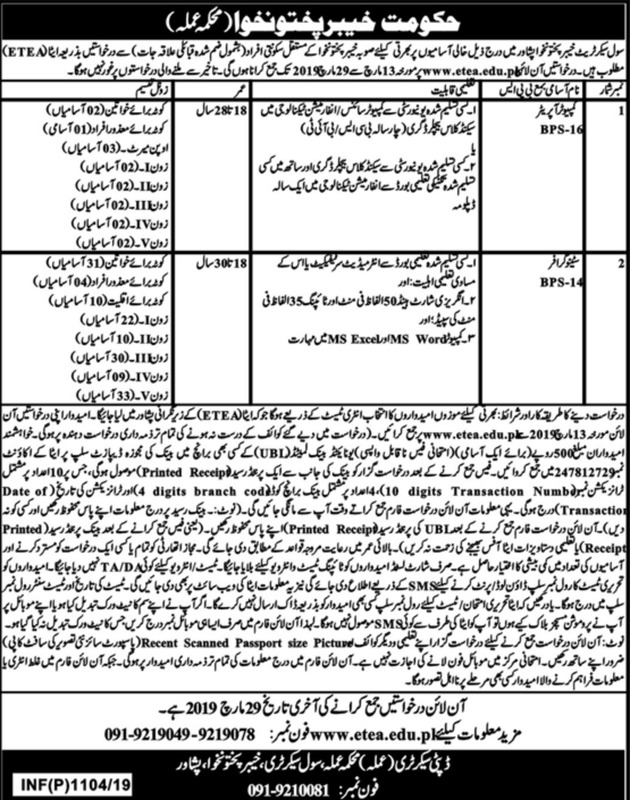 The posts of Assistant Moharar, Key Punch Operator, Stenographer, Junior Clerk, Driver, Naib Qasid, Chowkidar are vacant. 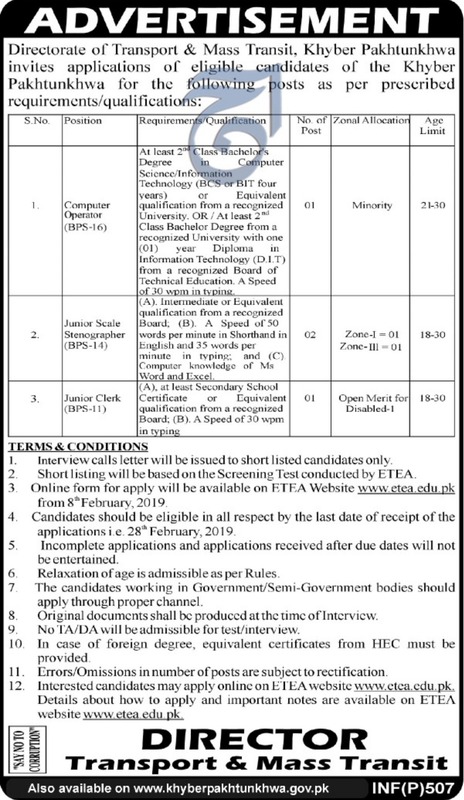 The deadline for submission of applications is 25th February 2019. 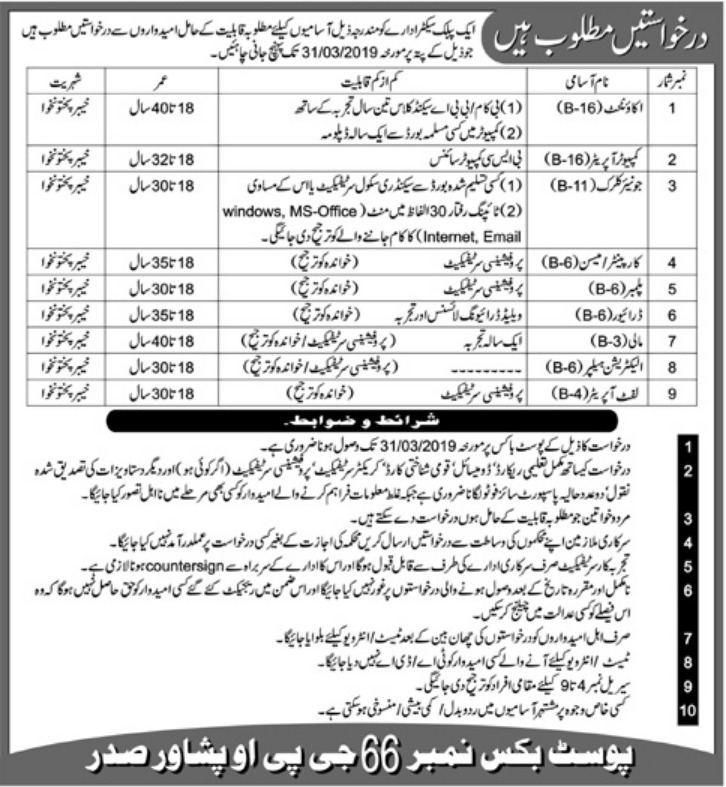 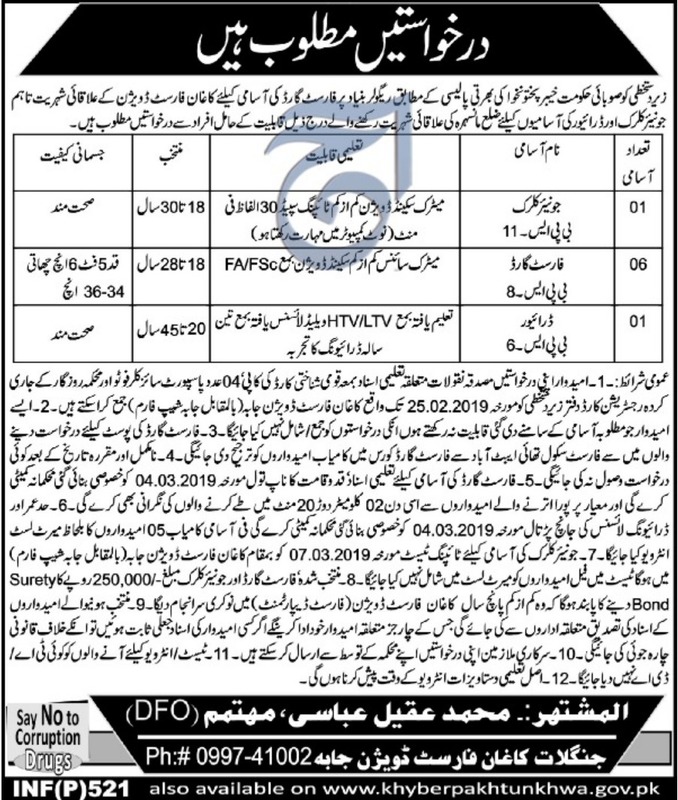 The job advertisement is published in Daily Mashriq and Daily Aaj dated 9th February 2019.